In 1980, we established the Safaga travel, business holiday packages, sightseeing service, Nile cruise, and ticketing services. In 1982, we opened an office in Schaumburg Hick started our business in the Sinai. 1984, EVC opened Nuwei Ba offices. 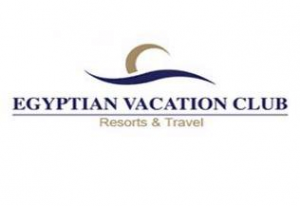 Since then, EVC accelerated pace of expansion of the scale, and the group began the package tourism project in 1987, organizing the team went to Sharm Hick, Hurghada, Egypt and elsewhere. 1989, EVC began Nile cruise excellent color sea (MS) project, the same year, we enter the hotel management industry. In 1991, our first Resort – Sharm Club began operating in conjunction with the temperature up to the club, becoming the first Italian club hotel in Egypt. In 1993, the second resort – Coral Reef Club Hotel also Schaumburg opened. In 1995, the hotel opened in Sharm reefs. In 2005, we opened Tamara seaside resort. In 2007, we also established a hotel in Umm Sid Sharm Hick region.